Here is a list of several worm bin videos that may help give you and idea on how to make a worm bin or inspire you to think outside the bin and design a whole new worm bin concept. I always say, "If you can master the plastic worm composting bin, then you can master anything." I have first hand experience at this as my very first plastic bin was a complete failure. Below, in my video, I show you how NOT to fail like I did. Another good video from Bentley "The Compost Guy" Christie on making a worm bin out of a Rubbermaid. Flow through or worm tower worm composting bins are an essential way to go. Especially if you plan to create a lot of worm castings or are wanting to raise worms for fishing or pet food. These bins can hold a lot of worms and castings with minimal disturbance to the worms. Of course you can always order the Worm Factory right here. This is the "Can O Worms", another good flow through system. Here I show you how a wooden flow through system can be used from within or without the house. You really have to keep an eye on the moisture evaporating, especially if it is outside. The wood breathes much better than a plastic bin with holes. Here is a cheap DIY continuous flow-through worm bin. You probably already have a barrel for this at home. A continuous flow-through is designed to add food at the top and collect castings from the bottom with as little human intervention as possible. Just one of the more creative worm bin videos I've seen. This is the Worm Inn. 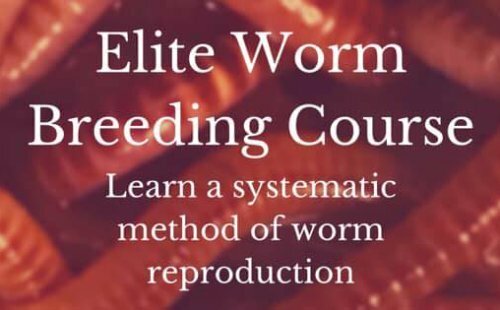 A very practical and efficient way of creating worm castings. This design will allow you to hang it inside, outside or set it on a stand. Just feed at top and collect at the bottom.